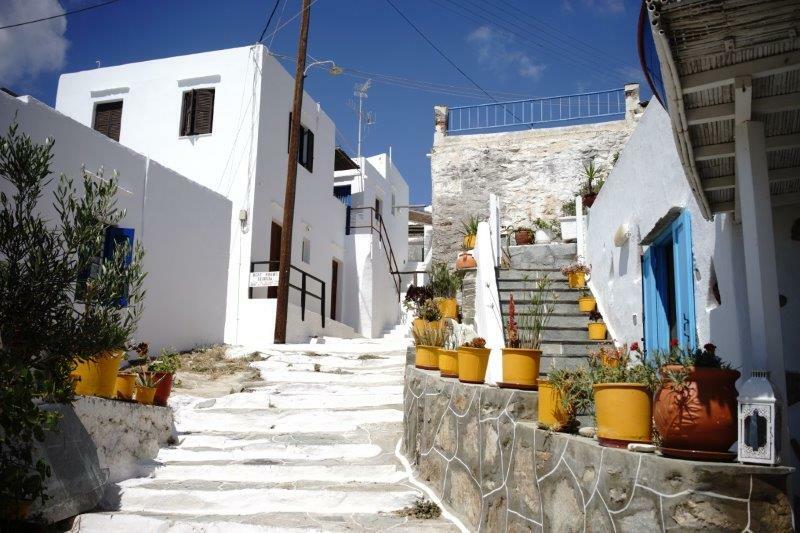 Four reasons the French love Sifnos, or Pourquoi les francais aiment Sifnos.. I don’t know why I have come over all gallic, but that is the effect that cosmopolitan and soigné Sifnos has on me. Sadly my computer does not come over all gallic, so cedilles and accents graves are missing..
Let’s start with the food – La Bouffe. Sifniots take great care about their food, and Platis Gialos, the pretty fishing village in the south of the island, has some astonishingly good restaurants on the waterfront, where the sandy beach slopes alluringly into the pale blue water, and in the evening, lights twinkle like little diamonds along the bay. At Misso Misso, the specialities are mezedes, the little platters for sharing, except they aren’t so little here, and the resident cats are very fat indeed as everyone over-orders. 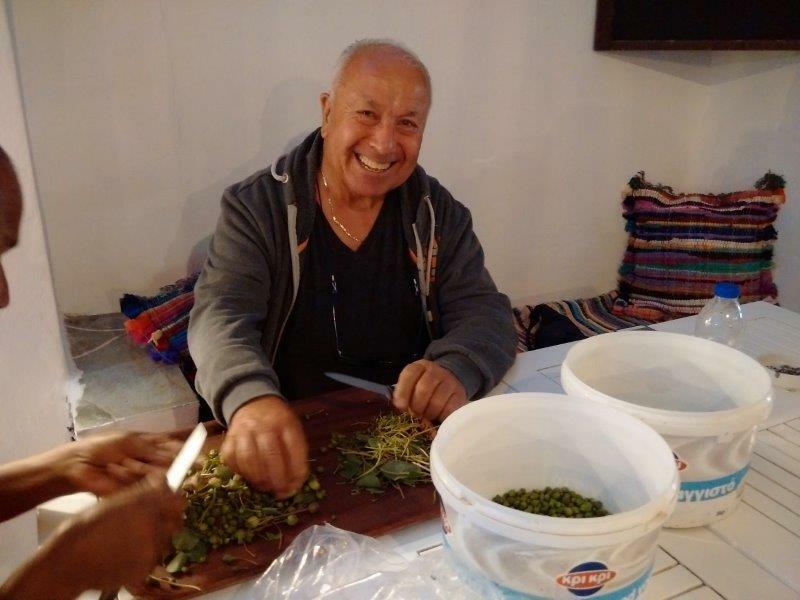 The owner, Mr Costas, was preparing locally harvested capers for the Sifniot signature dish, Caparosalata, caper salad, when we arrived. The capers are soaked and salted, then he adds caramelised onion and plenty of rich wine vinegar to make a delicate foamy dip to be piled onto crusty bread and eaten greedily. He has promised me a jar of his capers if I go back tomorrow evening, so this is a totally unbiased review. 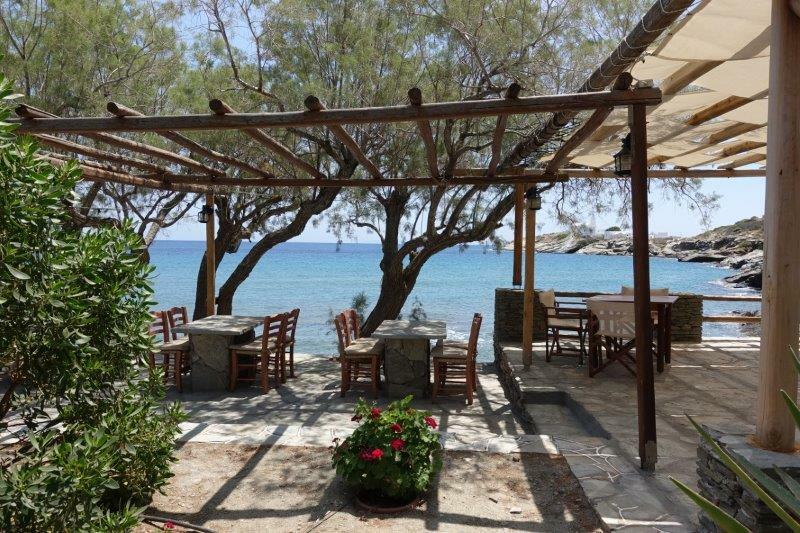 Maiolika, where the chef is making a name for himself with his eastern Mediterranean influenced cuisine, (try the avocado, mango and grilled shrimp salad ) and Omega 3 with its clean and sophisticated palette of flavours, complete the trio of fine restaurants in Platis Gialos. 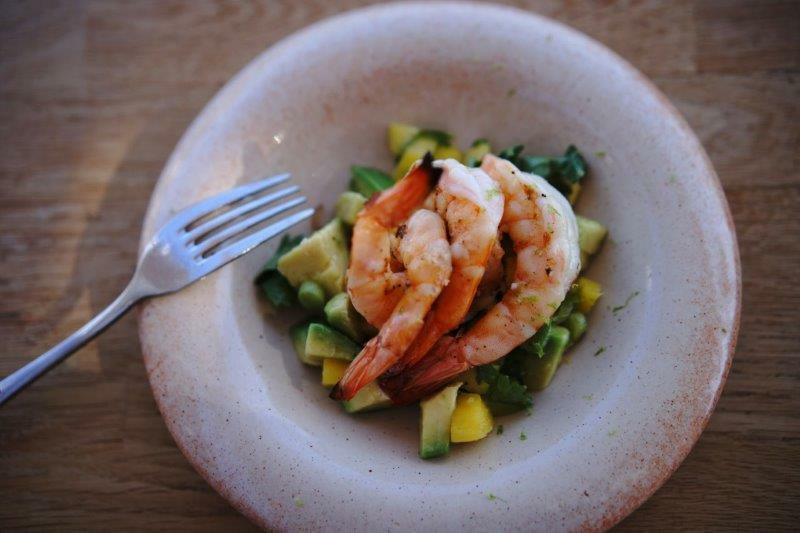 Avocado, mango and seared shrimp salad. Second: the villas here are really tres, tres chic. Electra is half French half Greek, effortlessly and enviably elegant in a casual, bohemian way, and her house is an extension of her own beauty – avec des petits riens, she creates magic. Nathalie is not French, qu’est ce qu’on veut, on ne peut pas tout avoir, but we are totally in love with her artistic and subtle house which is tout a fait charmante, and we are introducing to our portfolio this year. 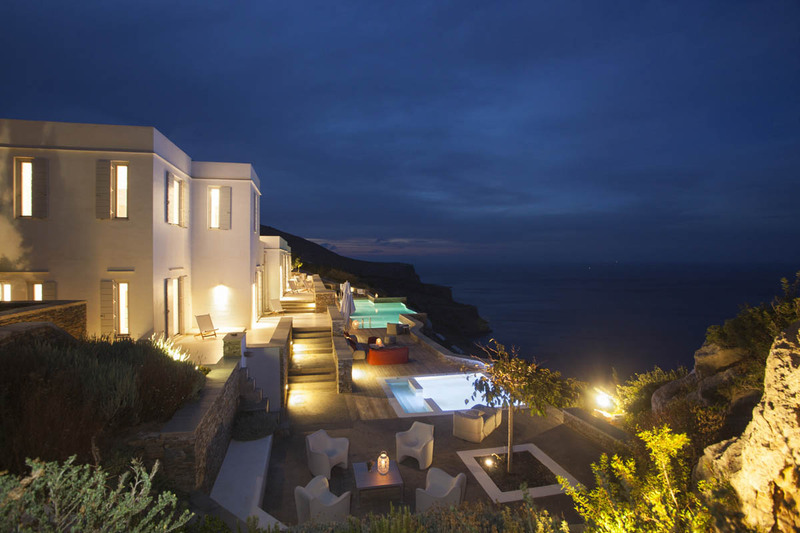 The French house-keeper at the most impressive new villa we have seen on Sifnos will welcome guests of ours to a stupendous villa with 6 en-suite bedrooms, a hammam , sauna, gym and wonderful pool . Magnifique. As Electra put it, “St Germain des Pres eat here, Saint Tropez meet there, Upper East Side over there,” and in the evening, the bars and little clubs of picturesque villages of Apollonia and Artemonas buzz with the multilingual chatter and laughter of friends from all over Europe who rendezvous each summer here. Palmyra, the beach lounge in Platis Gialos is where the beautiful people head to for chilled music and cocktails. The stupendously beautiful Brazilian singer-wife of the manager of Omeha 3 can sometimes be found singing bossa nova here. 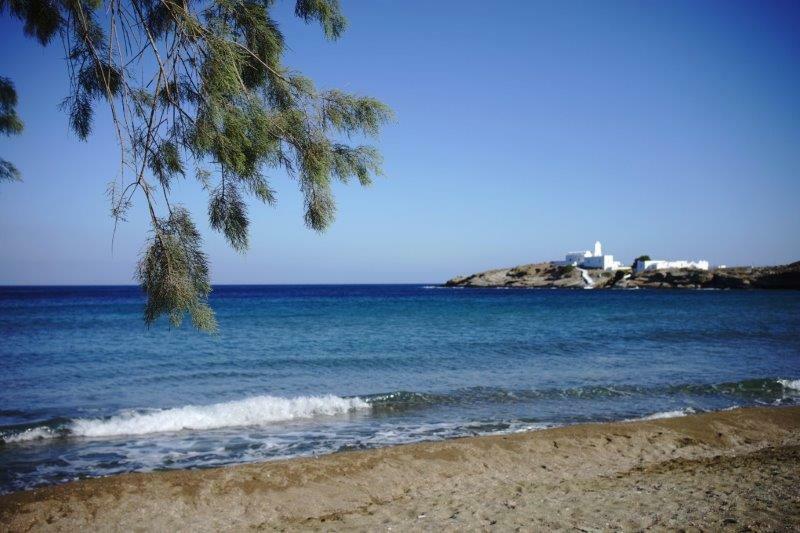 Fourth – Sifnos est élégant, in the true sense of the word which has to do with innate taste, style and being bien dans sa peau.. The Sifniots have the good sense to preserve and cherish not only their recipes, but their heritage of pretty villages, walking paths, unspoilt coast, wild mountains, pottery and ceramics, decorative pigeon towers, and sandy beaches, which sparkle and glitter with specks of mica. 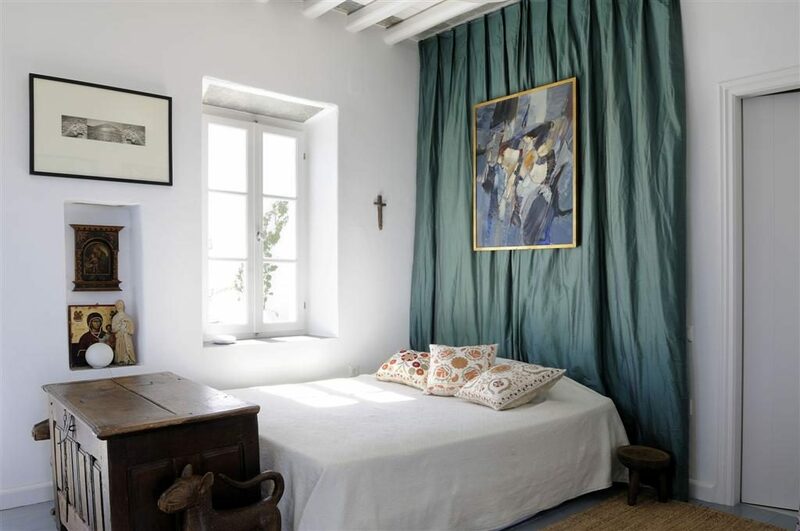 Of course other nationalities are welcome, and we have discreetly brought to Sifnos its fair share of Hollywood A-listers enjoying precious and peaceful anonymity in secluded villas, but book early, as the French consider this their island. Compris?